Already for the second year, JSC “Latvia’s State Forests” (LVM) invites both forest and timber industry representatives, as well as nature friends, to participate in the largest exploratory forest event in the Baltics – the Latvian Forest Days. Last year, the event in LVM Nature Park in Tērvete brought together more than 12 000 visitors. Also in 2019, the event is to take place in Latvia’s State Forests Nature Park in Tērvete on 24 and 25 May. Every forest and timber industry company, educational institution, public organisation and other enthusiasts are invited to participate in this event with their own forest information stands. Please contact the event coordinator Normunds Namnieks by 1 February 2019, by calling 29181734 or writing to the e-mail address n.namnieks@lvm.lv, outlining briefly your capabilities. Each participant will be provided with free space for their activities by including them in the joint infrastructure of the event and in communication with the mass media. Schools will have an opportunity to apply for the event from 1 March to 15 May on the website www.lvm.lv, where the published information on the planned activities will be gradually supplemented. “The tradition-rich Forest Day events got a new form last year. The large number of forest and nature-related organisations that told the visitors about the forest as our most important natural resource, revealed the principles of environmentally friendly and sustainable forest management. It convinced us of the need to organise this event this year as well, with the hope of turning it into an annual celebration. The participants of the Latvian Forest Days have the opportunity to share their mutual experiences, to establish new friendships and to tell about themselves to thousands of persons interested. See you in LVM Nature Park in Tērvete, where the forest and the forest industry will become the central event of the Park for two days,” says Normunds Namnieks, Project Coordinator and Project Manager LVM Recreation and Hunting. In the Latvian Forest Days 2018, visitors got to know the forest from different perspectives: discovered the depths of mysterious land and minerals, got acquainted with the facinating work of arborists, participated in demonstrations of the Latvian Red Deer Bellowing Club and watched a hunting dog parade. Modern forest management and road construction techniques attracted a great deal of interest from visitors. Participants could make their own bird cages and feather decorations. Enthusiasm and passion shone in the eyes of everyone who visited the various stands of forestry-related educational institutions and school students had an opportunity to get an insight into their possible future profession. 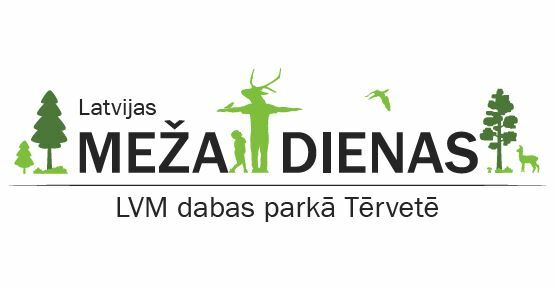 Latvian Forest Days is organised by JSC “Latvia’s State Forests” in cooperation with Tērvete Municipality Local Government, the Latvian Forest Owners’ Association, the Latvian Wood Industry Federation and the society “Zaļās mājas”.